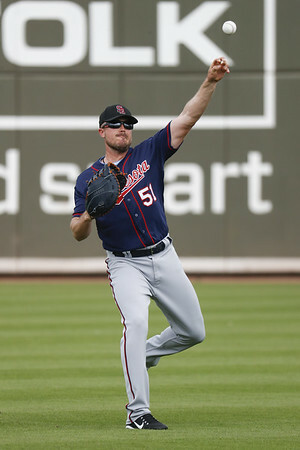 NEW BRITAIN - The New Britain Bees have announced the signing of former Philadelphia Phillies infielder Brock Stassi and the departure of catcher Josh Thole, whose contract was purchased by the Detroit Tigers organization. Stassi will be joining the Bees for his Atlantic League debut during his eighth season of professional baseball. Before coming to New Britain, the former big leaguer began the 2018 campaign with Triple-A Rochester of the Minnesota Twins’ organization, where he appeared in 32 games. Prior to this season, he spent his entire professional career in the Phillies organization, reaching the Major Leagues in 2017. He appeared in 51 games during his big league career, collecting two home runs, seven RBI, six runs scored and 12 walks. Thole will report to Double-A Erie of the Eastern League. This season for the Bees, Thole appeared in 17 games and posted a .317 batting average with three doubles, 10 RBI, seven runs scored, and a .425 on-base percentage. He began his professional career with the New York Mets. He made his big league debut with New York in 2009 at the age of 22. Thole spent four years in the big leagues with the Mets, including two stints as their starting catcher in 2011 and 2012. Posted in New Britain Herald, New Britain Bees on Thursday, 21 June 2018 20:35. Updated: Thursday, 21 June 2018 20:38.